Why Shouldn’t You Go With AMD Instead? One of the most important parts of your computer is the processor. It is the brain of the computer. Your processor determines just how much work you can do. It also determines how quickly and efficiently you can get that work done, whether it is performing calculations on Excel or playing Infinite Warfare on the best i7 laptop money can buy. The amount of processing power you get with a CPU is based on how much money you are willing to spend on it. This doesn’t mean that you have to survive with a terribly slow computer if you happen to be on a budget. Making the right decisions about your purchase is very important. Finding the right chip doesn’t have to be expensive. 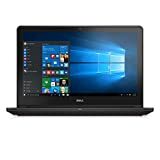 Based on the factors you consider, you can get yourself a fast laptop computer that will blow your mind. This is one of the most important questions you should ask yourself first when trying to select a laptop. Of course, core i7 laptop deals are what you’re looking for. Do you know why, though? For the most part, people pick Intel because most laptop motherboards are made for Intel processors. In addition to this, most software and hardware is designed to run optimally with Intel processors because of the tech company’s popularity in the world today. The Core i5 and i7 processor series’ are among the fastest, most efficient, and powerful CPUs in the world today. They are present in nearly all the laptops and desktop PCs you see today. Just like most other parts of a computer, you can select from many different models of these CPUs at different levels of price and power. Choosing between the two is difficult. Hyperthreading is a technology available on the latest Intel Core i7 CPUs. It means that each core on the chip can take on two threads of processing simultaneously. This allows your laptop software to multitask far better as it cuts down on queues for processing power. Windows laptops will detect these extra threads as additional cores on the PC, which means that your software actually uses each thread as its own core. The processing advantage you gain here is small, but it can be a large difference to someone looking for that extra kick in processing power. You don’t usually find hyperthreading capabilities on the Intel Core i5 chips for desktop, although many of the laptop chips have it built in. On the other hand, all best i7 laptops today are able to handle twice as many threads as cores in the chip. Now, the need for this feature depends on the software you use on your laptop. If you frequently run applications that are built to use these extra threads if available, you’re going to see a significant boost in how smoothly they run. This is a term you may have heard in the past. The clock speed of your CPU is a measurement of the speed with which a single core on the chip handles a task. Today, processors handle their tasks at different speeds depending on the type of task, even though the clock speed on each core is the same. In the general comparison between core i5 and i7 processors, though, a higher clock speed is a symbol of more performance in the chip. Here’s where it gets tricky. Both Core i5 and i7 processor laptop CPUs have clock speeds, and they can be lower or higher than the other based on the model and the number of cores. Typically, a quad-core processor will have a lower clock speed than a dual core CPU. This means that if you’re running applications which don’t use all the cores on the chip, you’re going to be running faster on an i5 processor than an i7. If, however, you’re running processor-intensive applications that utilize all your cores, you will run smoother on a quad core CPU. You will see the cache size on the side of the laptop specs: 2MB L3 Cache, or something along those lines. The i7 processors of today have a slight increase, numerically, of cache size over their i5 counterparts. In fact, the difference between the two is a meager 2MB. However, this small difference is actually incredibly large in terms of processors. This is one of the biggest differences between the two processors. A cache is basically a small storage space where the processor drops anything it needs frequently. The chip can then access these items very quickly while processing other tasks. This takes a large amount of stress off your laptop RAM, which is usually called on to provide this data. The smaller the cache, the more often the RAM will be called upon to fill the void, which leads to more time taken to process something. Core i7 processor laptops have a lot more cache space than the core i5. In addition to this, they are designed to make maximum use of all the extra cache. This makes any repeated processes work at lightning speeds while reducing how much the RAM is used and increasing the power efficiency of the processor too. There are two main factors that can limit how well your processor performs. One of these is the heat of the laptop and the other is the power. Any laptop power supply is able to power a mobile core i7 laptop processor. The cooling fans of the typical laptop will cool the chip down enough during work. That said, a core i5 processor will always have less heat output and less power usage than a more powerful i7 processing unit. This is where you see the biggest difference between the two types of processors. The core i5 processors are so much cheaper than their core i7 counterparts that you could see as much as a $400 drop in price between a laptop with the i5 and one of the best i7 laptops. When it comes to choosing a laptop, not all of us are looking for the same specifications on it. The applications you plan on running on your laptop determine just what you will need to look for when you are shopping. Your first question needs to be asked of yourself. Why are you buying yourself a new laptop? Do you want to make presentations, take notes in class, plan your finances, watch movies in HD, do a lot of video chatting, play video games, or anything else? After answering this question, you should figure out what exactly you can afford. Each of us has our own budget. You should take a good look at your financial situation and ask yourself what you are willing to spend on your new laptop. For a business model used for presentations and note taking, you wouldn’t need a high budget. For a more high-end model made for playing the latest games and movies at the highest resolutions, though, you will need a more expensive laptop. As with all other purchases, you will also have to consider the brand of the laptop you are buying. This doesn’t mean a choice between Dell, HP, and Lenovo. The broader scale has to be thought about here. Do you want a PC, or do you want a Macbook? Apple does have more expensive laptops and a smaller range to choose from than their PC counterparts. The Macbook Air, one of the most popular, starts at $1000 and goes up from there. The Macbook Pro, on the other hand, can start at $1200 or $1800 based on the size of the screen. You can’t really choose your own specifications with a Macbook, although most of the newer generations run Core i7 processors by default. One of the most important aspects of owning a laptop is the mobility you can gain from it. The battery life of your laptop is crucial to the mobility being high. You will be using it very often while you are on the road. Of course, some people aren’t looking for a laptop for mobility. Many users today simply want a replacement for their desktop that isn’t so large and clunky. In cases like this, where the laptop will stay plugged in nearly all the time on your desk, you won’t need to worry about battery life nearly as much. While older generations of laptops would have battery packs that could be removed and replaced at will, today’s designs are being made non-removable. This means that the battery of your new core i7 laptop could be integrated into the body. The advantage here is that you get a sleeker, more portable gaming laptop. However, you will no longer be able to store useful backup batteries in your backpack for when you’re gaming on the go. When shopping for i5 or i7 laptop deals, look out for falsely high battery lifetimes on the packaging and advertising at the store. Most laptop manufacturers put up a number for battery life that is based on light usage of the system. When you’re looking at your options, subtract about 2 hours from the proclaimed battery life to get an estimate of what your actual battery life will look like. Remember that battery intensive applications like games and 3D modeling can drain your battery a lot faster than simple word processing. A core i7 laptop is going to be heavier than most others. This is because most laptops with the i7 chipset are made for gamers and people with high requirements. This means that a typical laptop with this processor will also have a high hard drive capacity, a high RAM capacity, and a larger screen at a time. All of this adds up to a pretty crazy weight that can utterly destroy the portability of your laptop. The typical weight for a 15-inch laptop is about 2 kilograms, although this can vary. A 15-inch laptop with a core i7 processor might be the perfect balance between beauty and beast. Again, if you’re shopping for a laptop to use mainly at home, you won’t need to worry about the weight, but you will still need to consider it if you’re planning on being a commuter. How many hours of the day do you spend staring at the screen of a laptop or computer? You need to ask yourself this when you’re shopping for a good laptop to use. Think big if you spend a lot of time on your laptop. You need it to be able to display all of the data that you need as well as your usual programs and not destroy your eyesight in the process. Most laptops come in three main sizes: the 13-inch, 15-inch and 17-inch categories. 13-inch laptops are made to be portable. It is rare for you to find a core i7 laptop with this screen size, although some of the newer MacBook Air models are made with this size and the larger processor. Most 13-inch laptops have no disc drive and are ultralight. 15-inch systems are made to balance between the two extremes. You can use them as desktop replacements if the spec is high and the system is heavy, or you can use them as easily portable devices that are heavier than their little siblings but are still light enough to carry around in relative comfort. Your best i7 laptops are going to be 17-inch models. These are built for pure power and pack quite a punch into their larger, heavier bodies. Larger screen sizes also offer higher resolutions and viewing area than the smaller notebooks. 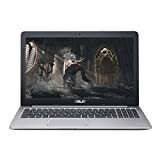 If you want to watch movies on the go, play games and actually see what is happening in the game world, or simply work without having to squint to see some of the smaller text on the screen, the best option for you is definitely a larger laptop. We will delve deeper into what to look for in a processor shortly. The graphical processing unit, or the GPU, is one of the most important parts of the laptop if you plan on using it for video and gaming. Most modern laptops have an integrated GPU built into the CPU. If you’re looking for a core i7 laptop for gaming or movies, this may not be what you want, though. A dedicated graphics card is the best way to ensure smooth gameplay and video processing wherever you are. These can be more expensive, but if you see GPUs from companies like AMD or NVIDIA on your laptop spec, you’re bound to experience better performance than something along the lines of Intel HD Graphics. When it comes to storage, you have a choice between two types of internal storage drives: SSDs and HDDs. Solid State Drives, or SSDs, are very fast and reliable. However, they tend to be expensive and have less capacity than HDDs. These are the traditional hard drives featuring spinning discs. SSDs, on the other hand, don’t have any moving parts which make them perfect for laptops because they are constantly in motion. If storage space isn’t your biggest issue, you don’t have to get an HDD. SSDs are more than capable of storing the essentials. Choosing a CPU is a difficult task if you are serious about it. Anyone can come in, pick out i7 laptop deals, and leave. It takes a little more thought to pick out a processor that will save you money and keep your laptop performing at its very best for the rest of its life. If you plan on using your laptop at home without gaming or using it for business purpose, you are going to have lower needs. Your processing load will not be as high as some of the other users out there. Because of this, you might not even need a core i7 on your laptop. Cheaper, low power CPUs might help you out even better in terms of value for money. Always consider CPUs that have integrated GPUs too (Graphical Processing Units). As a home user, you won’t be using your laptop for heavy gaming. You don’t need an external GPU on your laptop. All this does is add weight and money to your purchase. Save your time and get yourself a laptop with Intel HD Graphics GPUs installed on the processor. Another factor to consider is the frequency. The faster the frequency, the faster the processing speed will be. Since you won’t be using power-intensive applications, your frequency as a home user won’t be a high one. Get a processor that has over 1GHz of speed for the best results. If you plan on working from home or using your laptop often, you will need a little more than a typical home user does for a CPU. Think about which processors in the market right now are able to handle the needs you have daily while keeping costs at a minimum. First off, you must think about cores. The Core i7 processor laptops are among the top choices, along with quad core CPUs. However, if you plan on running some high-demand applications on your laptop, you may need a processor with 8 cores. These are way more expensive but will serve you well. In terms of CPU frequency, you may need over 2GHz for the best outcome. This is probably one of the best i7 laptops you can get. The Dell Inspiron has 15” screen which makes it the perfect balance between portability and power. The processor is a core i7 6th generation with a 2.6GHz frequency. It doesn’t have an integrated GPU and instead features a powerful 4GB NVIDIA GeForce GTX 960M graphics card. This makes it a better choice for gamers and other heavy laptop users. The RAM is 8GB DDR3L, and the storage is a combination of a 1TB HDD and an 8GB SSD. The laptop also features a backlit keyboard for added gaming support and nighttime computer use that doesn’t take up more of your utility bills. It comes with Windows 10 preinstalled. The average battery life of this laptop is about 10 hours, which is among the highest. This Acer Aspire E15 is another 15” notebook that is the best for people who want a mix of a portable, powerful laptop. The processor on this one is an intel Core i7 6th generation. The frequency ranges up to 3.1GHz, making it one of the fastest in its class owing to the turbo boost technology from Intel. It features a full HD 15.6” display that is LED backlit and has Widescreen Comfy View technology from Acer. This display is supported by a power 2GB NVIDIA GeForce GTX 940MX GPU (dedicated). The RAM capacity on this can be upgraded to 16GB but it comes with 8GB of DDR4 RAM. The storage options aren’t the best if you have a lot of files, as it is a 256GB SSD with no HDD included. The laptop comes preinstalled with Windows 10 Home. Other features include a high-performance stereo sound system, a card reader, wifi, and Bluetooth connectivity. A USB Type-C port is also present in the laptop. This is one of the longest lasting, with 12 hours of battery life on average. ASUS’ new gaming machine features one of the most powerful Intel Core i7 processors on the list. It is a 6th generation CPU with 2.5GHz frequency. This can be boosted up to 3.1GHz when needed. The display is a 15.6” one which makes the laptop lighter. The standard resolution is full HD and is supported by a NVIDIA GeForce GTX 960M dedicated GPU. Storage options are good on this one compared to the Aspire E15, as it has 512GB of SSD space. However, this doesn’t ship with an HDD, making your large file storage options limited. The RAM capacity on this laptop is 8GB which can be upgraded to 32GB if needed. DDR4 technology is used for the RAM. This is a pricier gaming laptop from ASUS. The ROG has a 6th generation Intel Core i7 processor that has 2.6GHz frequency during normal use. Along with this, the RAM capacity of the laptop is 16GB, which is very high indeed. The storage options include a 1TB HDD with 7200rpm disc speed. The display is a 17.3” full HD matte black screen. The larger screen might be a little bulkier but is good for a gaming laptop. The graphics are supported by a NVIDIA GeForce GTX 960M GPU with 2GB of memory. A feature of this laptop you won’t find in others is an ergonomic keyboard with a slide-off panel in which an SSD can be installed or removed when needed. 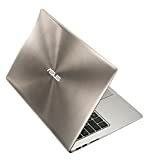 This is a touchscreen laptop from ASUS that is a great core i7 processor laptop – it is a 6th generation model with a frequency of 2.5GHz that can be boosted to 3.1GHz. The touchscreen display is 13.3” which is one of the smaller sizes available. 12GB of RAM is available on this laptop as well as 512GB of hard disc space using an SSD. The keyboard is backlit and the laptop doesn’t weight much at all. other features include USB 3.0 ports, Bluetooth connectivity, and a 1.2MP HD webcam. The display resolution is 3200x1800p and is supported by a 2GB NVIDIA GeForce GT940M GPU that is dedicated and powerful enough to handle most graphics-heavy applications. Another gaming laptop, the MSI Ghost Pro features the second most powerful CPU on our list. It uses an Intel Core i7 6th generation processor with 2.6GHz frequency naturally. This can be boosted to 3.5GHz when needed. A dual channel RAM is used in this laptop with 16GB total capacity in the two DDR4 ports. Storage capacity is a cool 128GB on the SSD drive and 1TB on the 7200rpm HDD. Four speakers are installed on this laptop, which features a 15.6” screen that has a full HD resolution and is supported by a GTX 970M GPU from NVIDIA with 3GB capacity. In addition to all this, the laptop has a Thunderbolt port, a backlit keyboard, and specialized technology to prioritize game connections over LAN. This is probably the most powerful laptop featured here. This 17.3” gaming model from MSI features a powerful 6th generation Intel Core i7 processor with a natural frequency of 2.7GHz that can be boosted to a stunning 3.6GHz. The RAM supplements this with a dual channel 16GBx2 capacity (32GB in total). The storage capacity is also high with a 256GB SSD and a 1TB 7200RPM HDD. In terms of the display, a 17.3” full HD screen with anti-glare technology is available, supported by a GTX 980M GPU from NVIDIA that has 8GB, capacity. The Samsung ATIV Book is a touchscreen laptop made for portability. As far as Core I7 laptops go, it isn’t the most powerful but is very affordable. It features a 4th generation i7 processor with a frequency of 1.8GHz. The RAM is 8GB in capacity and is supplemented by a 256GB SSD for storage. The display is 13.3”, which makes the laptop super light and is a capacitive touch screen too. This display is supported by an integrated Intel HD Graphics 4400 GPU. The battery life on this laptop isn’t too high, with about 7.5 hours of life on average. While this is still a step up from most other laptops on the market, other more powerful models like the MSI and ASUS laptops on this list appear to have nearly double the life. The Apple MacBook Pro is the only Apple product featured here. It has a 2.7GHz 6th generation intel core i7 processor that can be boosted to 3.6GHz when needed. While Apple isn’t used by many gamers, the sheer power of the processor makes it a top pick for people working on design projects and other intense work. There are four different USB-C ports on the laptop, which enhance the connectivity and allow for faster, smoother data transfers. It is 15.4 inches in size with a 2880×1800 native resolution that is supported by an integrated Intel HD Graphics 530 GPU. The smaller screen makes it a well balanced out model that is lightweight and portable while maintaining screen volume for better viewing overall. The RAM capacity is 16GB of DDR3 at 2133MHZ, which is great for most applications that require multiple tasks to be scheduled and a lot of data to be kept on standby. There is a 512GB flash memory storage option onboard. This allows for faster startup and data transfer throughout the laptop. If you’re getting yourself a powerful intel core i7 laptop the probability is that you will be using it for gaming. If you want to be a true gamer, you are going to need some accessories to boost the performance of your laptop as well. This is true even if the reason you’re getting the laptop is for business purposes. Here are some of the items you will need to purchase if you want a good experience with your new laptop. This is probably the single most important accessory you need for your new laptop. A wireless mouse is the best way to make life easier for you. Playing games, using photoshop, and doing other tasks on a trackpad is going to be incredibly hard. All your movements and clicks will be limited. The versatility of a wireless mouse is something you simply cannot do without. There are simple mice out there and those that have programmable multifunctional buttons. Pick your poison. The stereo headset is important for people using their laptop for video edition, sound editing and gaming on the go. You need sound to get a good idea of what is going on in any of these applications. In addition to this, sound in a game adds to the overall experience. Built-in speakers are fine when you are at home, but if you plan on gaming while traveling, such as in public transit like a train, you are going to need a headset to prevent yourself from ruining the day for the people around you. Do you know that laptops have portable chargers too, just like mobile phones have had for the longest time? You no longer have to go to a shop with a power outlet to get your laptop juiced up when you’re on the go. While most of the laptops listed here have stellar battery life, making full use of a core i7 laptop can lead to quick battery drainage especially when gaming or using graphics processing applications. A portable hard drive is exactly what you need for your storage options to expand. While many of the laptops here have high capacity hard drives, it still won’t be enough for those people who have hundreds of games and applications installed on their systems. A good example is if you are doing 3D modeling. Each project file will have a huge space requirement which can lead to big problems in the future. Getting yourself a nice portable external HDD is the best way to keep your options open. The best part is the HDD can be used to access your important data on another computer with ease if your laptop dies on your and you don’t have a portable charger. Did you know that there are now desks that you can use with a laptop? This doesn’t mean a full-fledged table that you have to carry around in a truck wherever you go. Oh no, a lap desk is a special desk that can be folded up and kept in your backpack or laptop bag. It allows you to set up and play on your laptop when sitting in places where it is impossible to keep your laptop in a stable position while working on it. the best part is that it keeps a hot laptop off your thighs, thereby preventing muscular conditions in the future. This is typically a given. You need a cooling pad if you plan on using your new laptop for gaming, processing music and video, 3D design, and other intensive applications. A cooling pad is a perfect way to keep the temperature of your laptop down and therefore protect the interior of the laptop from damage due to overheating. Processors have to fail safes built in that help them to shut down in the case of overheating. If you don’t want this happening on a regular basis, investing in a cooling pad may be the best thing for you. You can sometimes get a cooling pad as part of some i7 laptop deals. is a Software Developer and the main writer behind Computer Realm.